Every August, the collector car world descends on the Monterey Peninsula for the ultimate celebration of the hobby. For over 30 years, RM Sotheby's Monterey sale has been the pinnacle of the collector car auctions, known for its innovative presentation and record-setting results. Along with all the auction excitement, Monterey Car Week is filled with a number of other hobby events, from historic racing to festivals and concours, which transform the area into a car lover's paradise. 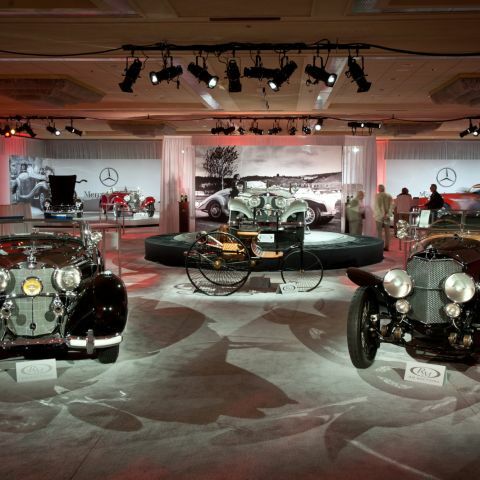 The week culminates with the prestigious Pebble Beach Concours d'Elegance, where RM Sotheby's very own restoration team has won a remarkable six Best of Show honors.